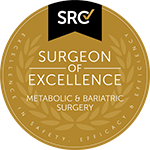 Are you looking for a weight loss surgeon in Castle Hill? 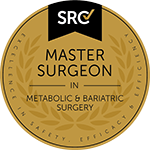 Dr V. Kuzinkovas is a highly experienced Advanced Laparoscopic Surgeon providing weight loss surgery for Castle Hill patients at our North Western Sydney facilities located at Norwest Private Hospital. Since 2008 Dr V. Kuzinkovas has performed thousands of successful laparoscopic surgical operations helping patients to achieve a healthier and slimmer version of themselves. Electing to have bariatric surgery in Castle Hill with Dr. V. Kuzinkovas of Advanced Surgicare is an important, life-changing decision. Nonetheless, it also takes commitment on the part of the patient. Weight loss surgery is not a miracle cure for obesity, rather, when combined with a healthy diet and exercise program, it is an effective tool to help individuals suffering from obesity lose the excess weight. Weight loss surgery is not the right solution for everyone in Castle Hill. Dr. V. Kuzinkovas evaluates a candidate’s physical and psychological condition when deciding whether weight loss surgery is a good option. If you're seeking weight loss surgery in Castle Hill, contact our offices by calling 1300 551 533 or click here to request an appointment online. Need Directions from Castle Hill? Get the walking map here. A play area & walking tracks in bushland that was a 1800s government farm & convict rebellion site.